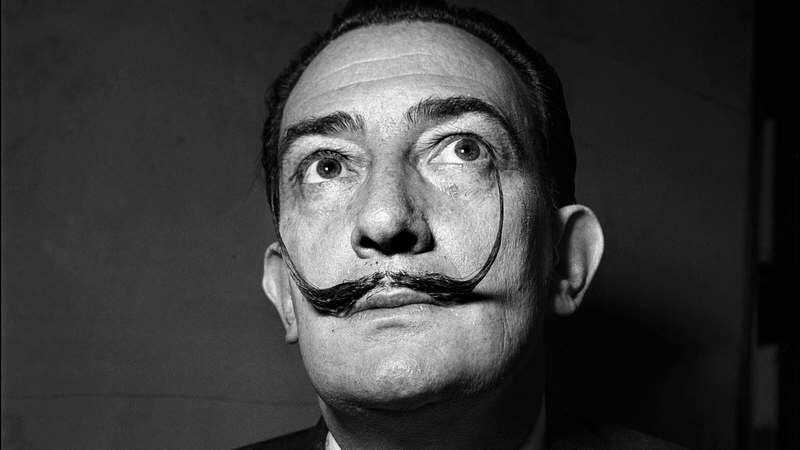 Today in “undeniably morbid, but still pretty neat”: The exhumation of Salvador Dali’s body we told you about last month has occurred, and as NBC News reports, getting hair samples from the late surrealist master turned out to be easier than anticipated, given that his famous handlebar mustache was still perfectly intact. Dali’s tomb, in the Dalí Museum Theater in his hometown of Figueres, Spain, was opened last night by forensic experts, who were surprised to discover how well his body had been preserved. That includes his iconic mustache, which remained in place at “its classic shape of ten past ten,” as one of the experts put it. Dali’s final resting place was put on lockdown before the exhumation to prevent any pictures of his corpse from leaking to the media, including ”a marquee [that] was installed under the museum’s glass dome to prevent any photography or video from drones.” His coffin was opened on orders from a judge in Madrid, who ordered that genetic samples be taken from Dali’s body in order to settle a paternity lawsuit brought by 61-year-old Maria Pilar Abel Martinez, who claims that Dali was her father. If she wins, she’ll be entitled to a portion of Dali’s presumably very large estate, which is currently in the hands of the Spanish government. If she loses, the Dali Foundation says it will send her a bill for the cost of the exhumation. We’ll find out in a couple of weeks, after the samples are tested at a lab in Madrid.